The Quran is said to mention several lost cities; one of which is Iram of the pillars. Iram of the pillars is a thought by many to be an ancient lost city but some believe it to be a general area, or a kingdom. According to legend, the city was populated by the Ad people. Although they received many warnings, they refused to obey their god until he decided to destroy the city and bury the remains deep below the sand. “Iram – who had lofty pillars – the likes of which never been seen in these lands – and Thamud carved out the rocks in the valley – and the stakes owned by the Pharaoh – all of which oppressed in these lands and therefore increased in corruption – so the lord poured upon them a scourge of punishment”. Translations of the chapter vary, but you get the general idea. 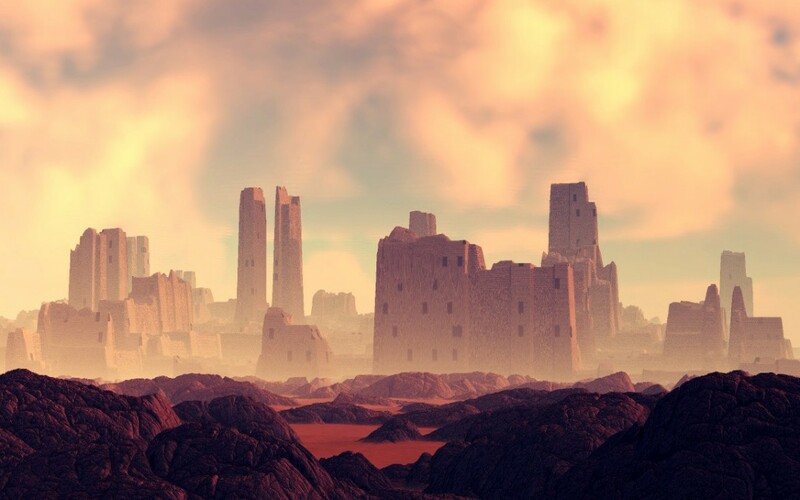 Many people interpret this to mean that there was once a great desert city that was lost to time, and some even believe that the city was destroyed by god. Iram of the pillars was mentioned in one thousand an one nights. It told the story of king Shadad, who rule over the city until god judged him worthy of destruction and sent a storm to obliterate the whole city. The most popular candidate for the city is Ubar. Ubar was discovered in the 1990s; an ancient fort was soon uncovered along with 8 tall towers. The discovery immediately left people speculating whether it was the legendary Iram of the pillars. Especially considering the ruins of Ubar pretty much exactly match the city described in the Quran. But we may never know the true history of Ubar as most of it was wrecked by a sink hole. Some claim other cities to be the pillars – like Alexandria or Sana’a but realistically they aren’t it. It is always possible that Iram of the pillars never existed. It wouldn’t be the first outright myth to come from old Arabia. People tend to romanticise history while deep in the desert, especially when confronted with the ruins of a city like Ubar. But it’s also very possible that the city did and still does exist. It really could still be under the sands of Arabia – and it really could be Ubar. The city has been feature and referenced in many works of fiction, as you might expect. In Uncharted 3, the city is discovered and it is learned that Francis Drake visited the city 500 years before – but he hid all evidence of his visit. Any wirter of fiction would be a fool not to be inspired by the legend of Iram of the pillars. A long lost city buried deep in the desert. The missing legacy of a people who defied their god.